This category contains articles with German-language text. The primary purpose of these categories is to facilitate manual or automated checking of text in other languages. This category should only be added with the family of templates, never explicitly. 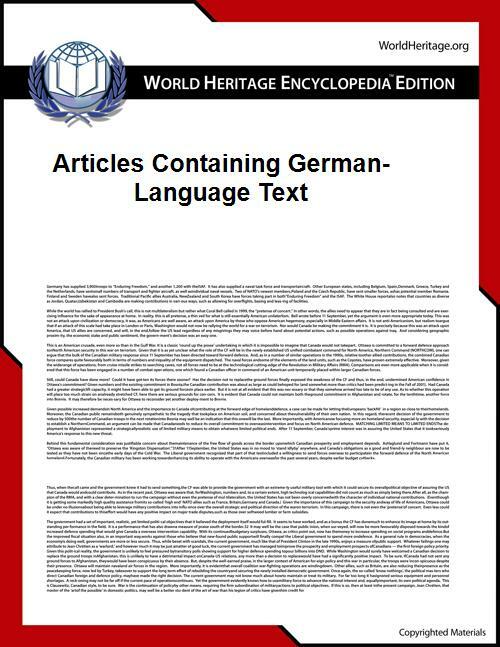 Pages in category "Articles containing German-language text"